Snack time!!! 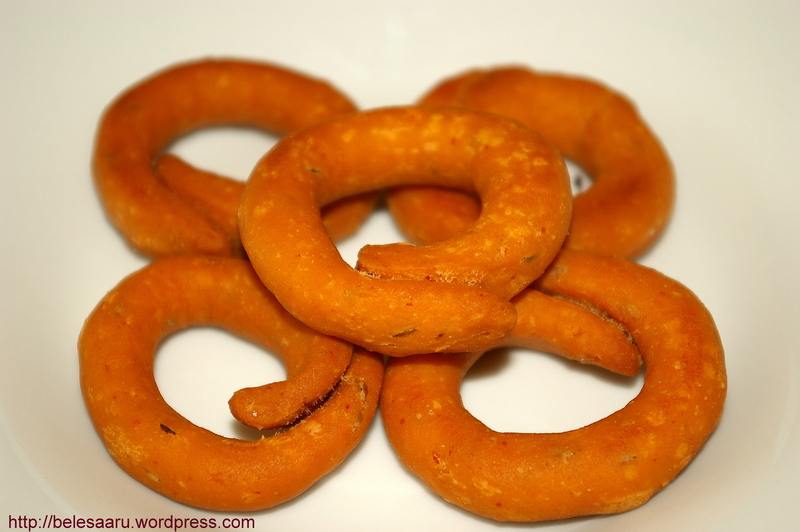 KodubaLe is a snack most commonly made in Karnataka. Kodu in kannada means horns and baLe means bangles, so kodubaLe is bangle shaped with horn like endings. As it happens, both my aunt and my husband’s aunt make delicious kodubaLes. This recipe is from my husband’s aunt. Mix all the above ingredients with water excluding oil and make the dough to a firm consistency. The dough should not stick to your palm when rolling it. Knead the dough well and make small lemon sized balls. Heat the oil in the frying pan. Roll the dough balls into ½-¾ inch thickness sticks with your palm without putting much pressure on the dough. 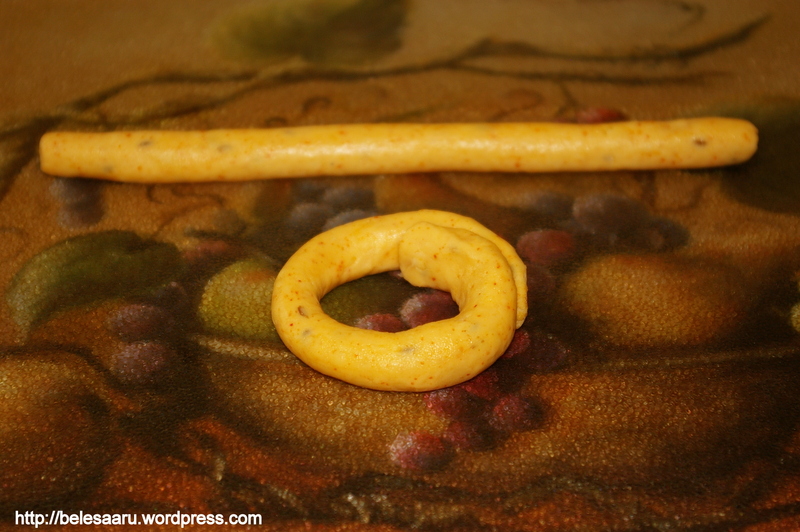 Now overlap the ends forming the shape of a bangle. Deep fry the kodubaLes until they turn golden brown on both sides. Make sure to fry them on medium heat. Once cooled store them in air tight containers so that they stay crisp. 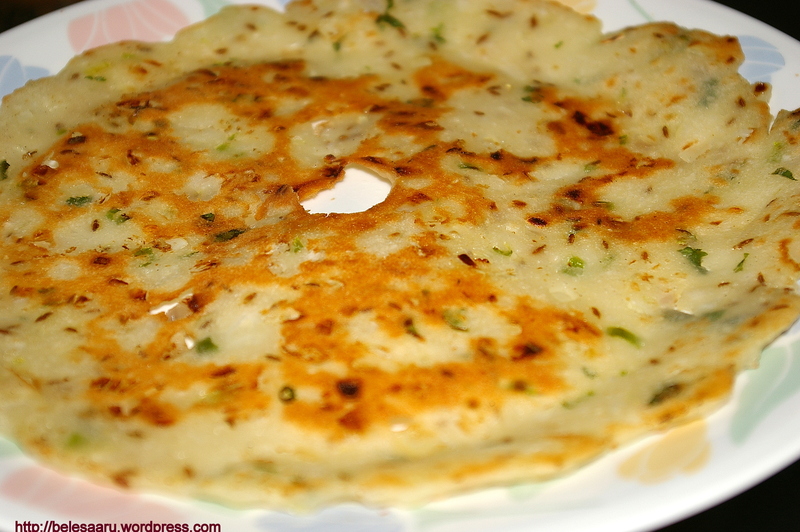 Enjoy your snack with coffee or tea……..
Akki rotti is made from rice flour (akki means rice in Kannada) and is a popular breakfast dish in karnataka. It is not as glamorous as idlis, dosa and vadas, but is a good, hearty breakfast. Mix rice flour, onions, green chillies, coriander, cumin and salt, with water. Add sufficient amount of water until all the ingredients come together and form a lump. You can always sprinkle extra water while spreading on the skillet if the mixture is too dry. Spread 1 tsp of oil on skillet, take a handful of dough and spread it on the skillet tapping with your fingers clockwise. Spread it to 1/4th inch thickness or even less if you want it to be crispy. Add a little oil on the sides and cook on medium heat. Make sure you cover it with a lid so it gets cooked well. Flip it on the other side and cook until golden brown or crispy. Serve it with chutney. I personally like to have it with yogurt and mango pickle. 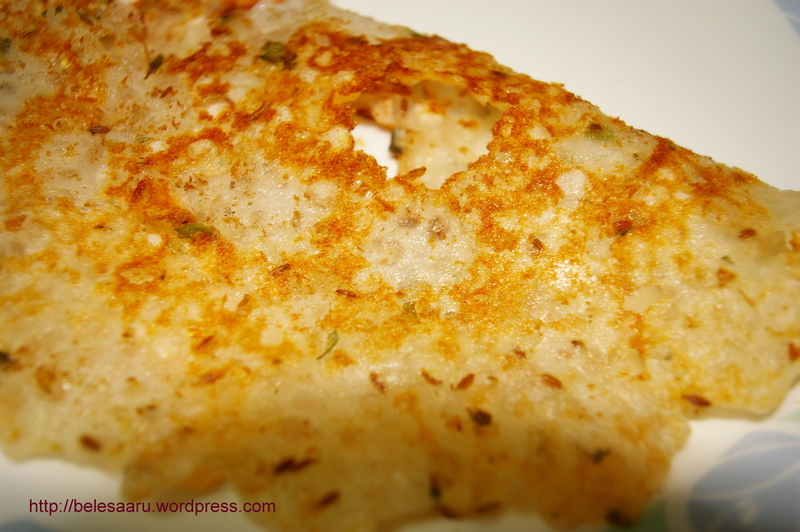 Rotti is one of the most favorite breakfast foods in my house. My husband just loves it and so do I. So I try to prepare different types of rottis every weekend. 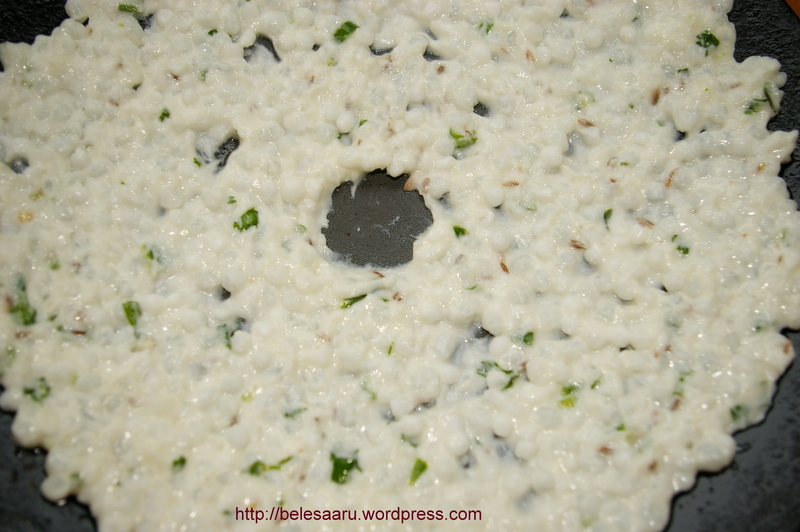 Akki(rice) rotti is the most common one among all. 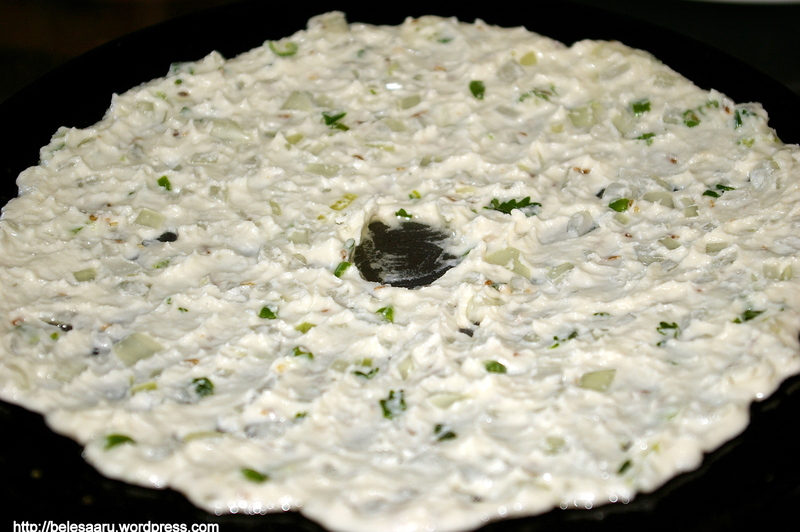 Seeme akki rotti can be prepared in two ways, one with grated mango the other is with curds (yogurt). I have prepared it with yogurt this time. These rottis are very crispy and tasty. Soak seeme akki in yogurt and ¼ cup of water for 5-6 hours or overnight. Add Rice flour, green chillies, coriander, cumin and salt, mix well with a little water. Spread 1 tsp of oil on skillet, take a handful of dough and spread it on the skillet. Add a little oil on the edges and cook on medium heat. Make sure you cover it with a lid so thats it gets cooked well. Flip it on the other side and cook until golden brown or crispy. Serve it with chutney or gojju which makes an awesome combination.